Millions of businesses and websites are online, but are all of them getting visibility? There are hardly some websites which get into the top pages of search engines and hence, get good business. Whenever we search for a query in Google, we barely check the top 10 results shown on the first page. Usually, we see the first few, and that's it. 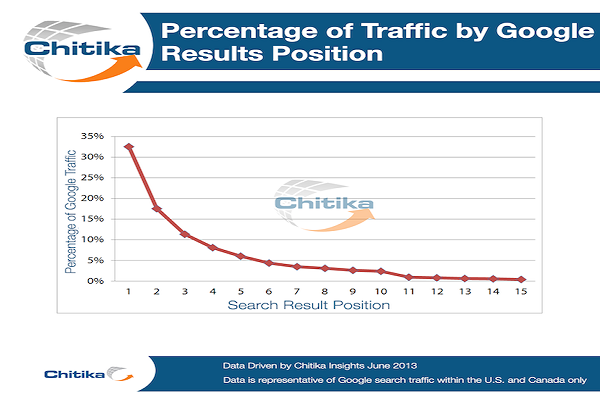 As per the research was done by Chitika, the #1 site showing in Google search results gets around 33% of total traffic, followed by 18% to the site in the 2nd position. The site which is at the 10th position hardly gets 2-2.5% of traffic. So you can see the difference in traffic for yourself. Everyone likes the number one position in search results, or at least the first page (Top 10 results). But this is not as easy as it seems. There are millions of websites targeting the same keywords. You will have to provide quality along with some extra flavor to be ahead of these millions of sites. Days are gone when just with an EMD (Exact Match Domain) and long content, you could rank for keywords. We are in 2016, where everybody is trying to come ahead of the others. So we need to do all those things through which we can to get at #1. For this, we can take help of some tools which can guide us on how to improve our rank, share their data with us, recommend some solutions and most importantly, provide us with some insights about our competitors. Recently I found one such tool, AgencyPlatform, which not only helps you in White label SEO but also in inbound marketing. Here I will be sharing details about AgencyPlatform based on my personal experience. AgencyPlatform is a New York based SEO management and inbound marketing company that provides end to end solutions for all your SEO and marketing needs. It has been in the industry for 13 years and is considered as one of the top marketing tools, at a very affordable price. AgencyPlatform helps you with SEO, PPC (Pay Per Click), mobile website and various other things that will help you take your online business from scratch to the top; that too while using completely white hat tactics. With more than 500 agencies, AgencyPlatform is known for its quality and service at an affordable price. There are multiple features in AgencyPlatform which will help you boost your SEO campaigns and inbound marketing campaigns. So let me take you through some of the features that will assist you in your SEO campaigns. The dashboard is the main part of any SEO software. 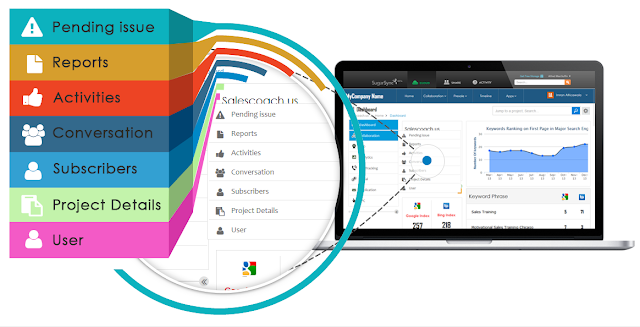 It depicts the summary of all the reports of your site in a single place, in graphical form, which helps you to analyze the data at once and take some business decisions quickly. This can prove to be quite beneficial in the long run. It also shows your keyword rankings in major search engines. The SEO tool crawls your site and shows the overall SEO score of your site out of 100. If your site score is less, then it will also show you recommended solutions to improve that score. You can also customize your dashboard as per your needs. If you’re an agency, you can add your company’s logo to make it more personal. If you are working for an organization, you must have people divided into a few teams, and you may want to give access to data as per their roles and responsibilities. 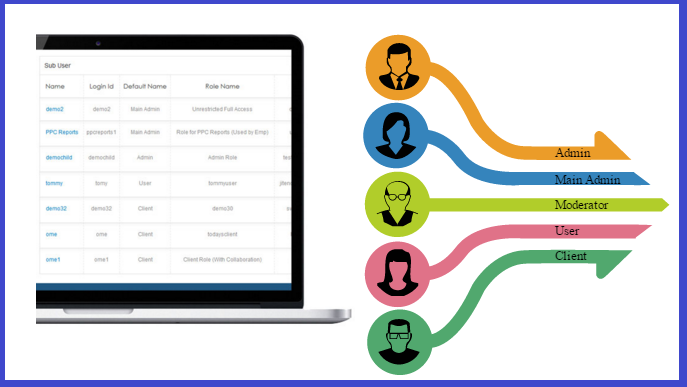 AgencyPlatform gives you the flexibility to add different functions and users in the tool. They have some predefined roles in like Admin, Main Admin, Moderator, User, Clients, etc. But if you need more or anything other than these then you can define your roles and users. This is one of my favorite features in AgencyPlatform. It allows you to collaborate with your clients on multiple levels, on a real time basis. It shows the issues in different categories, reported by the client such as Active, Completed, NonCompliance, etc. to track the work done in a better way. You can also update your customers with these reports on a regular basis. 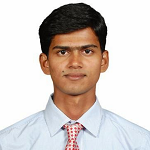 There are options to export these details, and you can do so in formats like PDF, Excel, CSV, etc., as per your needs. Apart from this, you can schedule your activities on some particular days using the timeline feature. You can also add subscribers, which represents the number of people involved in a project and much more. • Domain Strength – Based on Domain Age, the number of pages indexed by Google and Bing. • On Page Optimization - Checks factors like meta tags, word count, density, etc. If you are doing PPC for your clients, then you can also do some audits for those PPC campaigns and generate reports. Now based on these reports, you can take decisions. It depicts the number of keywords for which your site is not visible and the dead keywords which are just idle. It also does A/B testing and shares the results. It allows you to manage a couple of major social media sites – Facebook & Twitter. It shows you the best time to publish on these social media sites and also tells you what kind of engagement you received when you shared on these platforms. You can also schedule your posts/tweets and monitor your audiences. 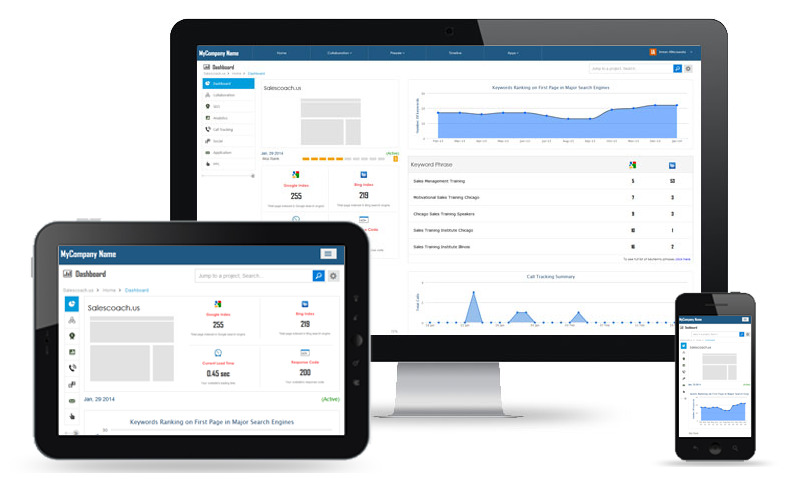 This dashboard is specifically dedicated to your SEO reports, showing a total number of link acquisitions. This includes Article Submissions, Social Bookmarks, and Directory Submissions. For these reports, AgencyPlatform takes help of a couple of the main SEO tools like Moz, Majestic SEO, and ahrefs. It combines the features of these tools and shows you the number of backlinks, the uptime for your site and many other details. It also shows you the keyword rankings, in both Google and Bing. This is a unique feature I found with AgencyPlatform. 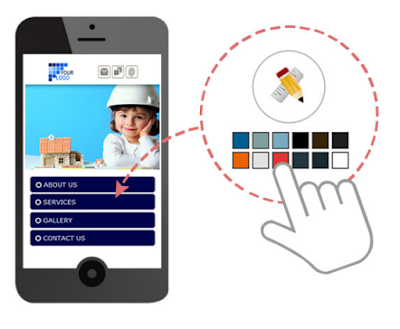 With the help of this tool, you can design smartphone friendly websites, which are dedicated to touching screens. You can also track your data analytics and other stuff over the phone. You can even centralize your social media accounts at one place and be active on all social platforms. AgencyPlatform provides two types of plans depending on the industry size. If you are a small and local business owner, then you can go with their Local SEO plan, which starts at $199 per month. 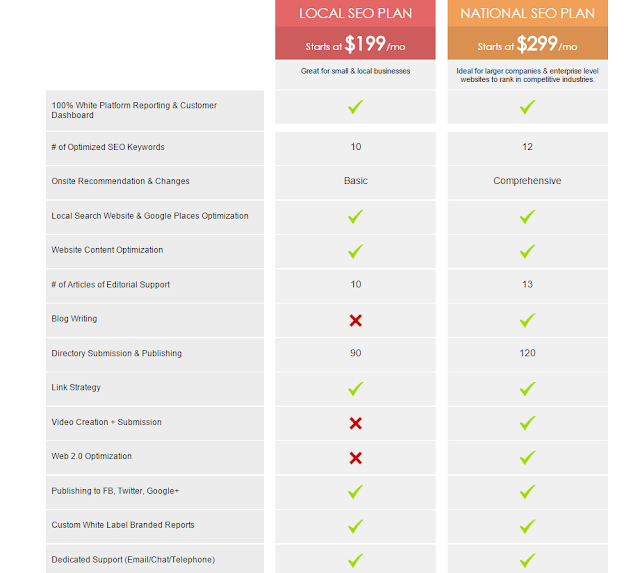 On the other hand, if you are a large industry owner, you can go with the “National SEO Plan”, which starts at $299 per month. After using AgencyPlatform, below are some of the features that I liked the most, and there are a few where there's still some scope for improvements. This was all I had to say about AgencyPlatform as per my personal experience. This tool is great if you are looking for something that can help you in both SEO management and inbound marketing. What do you think? Which tools do you use for your SEO & Marketing campaigns?